No matter what the economic conditions are across the nation, there will always be a need for the trucking business to deliver food and other consumer goods to stores throughout the country. As a result, the transportation industry has been able to withstand the downturn in the economy rather well. There are several solid rationales for Naperville residents to enroll in Wolf Driving School to take CDL Training to become truck drivers. One of the more obvious reasons is because of the pay. Truck drivers usually average at least $35,000 for their first year of driving. After several more years, it is not unusual for them to average around $45,000 to $50,000 annually. Plus, those seasoned drivers who have their own rigs and years of experience, can average over $100,000 a year! At Wolf Driving School, we have been offering training to Naperville students to take the necessary CDL training and truck driver training in order to pass their exams. For additional endorsements such as: driving tankers, triples, passengers or hazardous materials, we offer CDL Class A training (the highest possible truck licensing). Our business is based upon the fundamental theories of Honesty, Reliability, and Quality. Not only do we employ only the finest, well-trained and capable individuals as Wolf Driving School instructors, but we only train on the best and finest equipment in the business. Our CDL training and truck driver training classes can accommodate the busiest of schedules, so that the students can both work and study at the same time. We strive to help all our students achieve their goals and objectives, as well as endeavoring to train them to be only the most successful, safe, and confident of drivers. Naperville, Illinois is located 28 miles west of Chicago and is home to approximately 145,000 people. This vibrant, thriving city consistently ranks as a top community in the nation in which to live, raise children and retire. In 2005, the city was named as one of best places to live in by Money Magazine. Naperville ranked third of 100 finalists to make the 2005 "Best Places to Live" list. And, in 2006, Naperville was voted the second best place to live in the United States by Money Magazine. Fortune Small Business' named it one of the “Best Places to Live and Launch” in 2008. The median family income is $130,164. Also, it’s the home to many retailers, restaurants and shopping centers. Consequently, Naperville has a greater need for CDL licensed truck drivers because of the office and retail growth within the city. Not only are the majority of retail goods made in the area shipped throughout the state and the nation, but food and household goods are transported by trucks. There is always a demand for licensed truck drivers. Recently, Naperville residents have been enrolling in the Wolf Driving School for CDL training/truck driving training classes. CDL training gives them greater career and income opportunities. 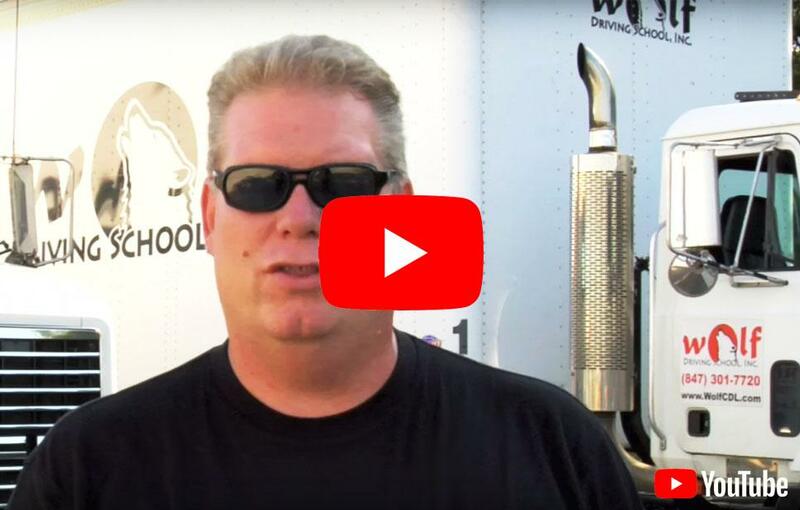 Why should you enroll in CDL Training and Truck Driving Training? Wolf Driving School School can give you the answers. One good reason is the pay; another is the great opportunity you get to explore our great nation. Want to explore America and get paid to do it? Enroll in CDL Training and Truck Driving Training today! Truckers play a critical role in our country. Not only can we help you get a CDL; we will help you find a job. Call to begin your life-altering career today!